Welcome to Helen Henderson, a former feature-story writer and correspondent who has also written fiction as long as she could remember. Her heritage reflects the contrasts of her Gemini sign. 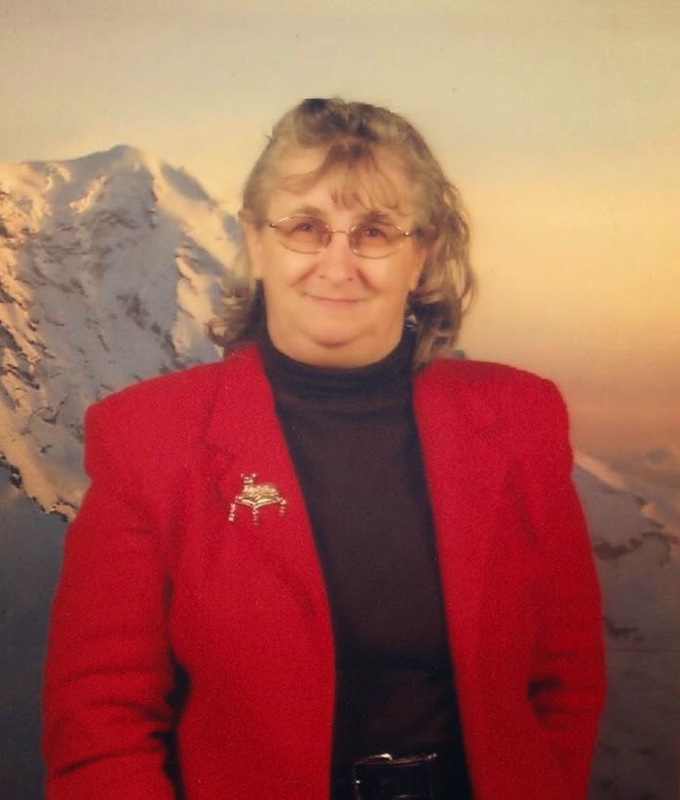 She is a descendent of a coal-miner's daughter and an aviation flight engineer. This dichotomy shows in her writing, which crosses genres from historical adventures and westerns to science fiction and fantasy. In the world of romantic fantasy, she is the author of two series: the Dragshi Chronicles and the Windmaster novels. Helen calls herself a tour guide to the stars, the Old West, and worlds of imagination and invites readers to journey with her. The Writers’ Lens is about "Bringing fiction into focus." What brings your writing into focus-- the characters, the stories, the love of words? I admit it, I am a plotter. For me, the story is what brings my writing into focus. Scenes, bits of dialog, and settings are captured as the video of the story runs through my mind. Sometimes only a bullet or two, or a paragraph is captured. At others, the keyboard taps out a full scene or chapter. But the time the storyboard is finished, a fairly polished draft of the complete story fills the three-ring binder. That does not mean that I plotted out the entire story, once my characters catch onto me, they take control. Although when I begin writing I think I know how a story might end, those whose tales are being scribed sometimes change the ending, and always take a different path to get there than the one I had envisioned. How do you find time to write and do a demanding job? Although I am not paid for it in earthly coin, I consider my activities as a 24/7 caregiver as a demanding job. Carving out time to write means skipping a nap or more often taking advantage of time spent waiting for others. It is surprising how much writing can be accomplished in doctor's offices and hospital waiting rooms. And if computers aren't allowed, editing a paper copy helps keep the stories going along. Fill in the blanks: Writing/Editing books is like a twisting path. You never know where you will end up. And as fuel for the journey? Pizza, a glass of frozen white sangria, ending with a chocolate éclair for a sugar rush. What inspired your latest book? 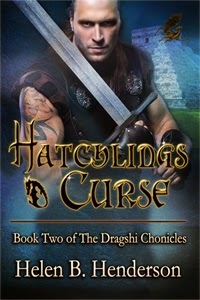 Hatchlings Curse is the second book in the fantasy series, the Dragshi Chronicles. The start of the chronicles was a short story that that morphed into a full-length novel. The characters refused to leave, demanding to tell more of their lives. Since then the tales of the dragon shifter Lord Branin Llewlyn and the trader girl Anastasia have expanded into a series. One of the problems was aging Anastasia from the young girl of the short story to the young woman of the first novel then a mature woman in the later books. Making it more difficult, there was a real Anastasia who was four years old when the first piece was written, and is now nine going on nineteen. And as far as what inspired the original piece, growing up on a farm I enjoyed lying on the grass watching the clouds. Airplanes were part of my heritage and I always wanted to fly. However since becoming a pilot (or my second choice an astronaut) never occurred, at least as an author I can soar with dragons. What do you think readers will like about your book? I have always preferred to be in the shadows, not out in the limelight. Instead of answering this as the proud author (it can be said I'm prejudiced), I'll share a few phrases penned by reviewers. "The characters are fantastic," and "The scenes are truly stunningly written." I will say this, I am very proud of the fact that romance has learned to take its rightful place alongside action in my novels. A factor that I attribute to working with the multi-published author, Carol McPhee. Would you share a bit about your next project? There are several exciting things on the horizon. Hatchling’s Mate, the third book in the Dragshi Chronicles is nearing publication next year. The fourth book, Dragon Descendents, is being written. On a different front, for those who know me, I also have a non-fiction background. Being readied for a spring 2015 release in connection with an organization anniversary is From the Back Street to Main Street – The History of the Methodist Congregation of Middletown Point. HATCHLING'S MATE: Lord Branin Llewlyn is a dragshi, a human who can exchange bodies with a dragon. After millennia of waiting...and searching, Branin and his dragon counterpart, Llewlyn, have found their intended mates. But, for the dragshi, the freedom of flight comes with a price. Now Branin has to find a cure for the childlessness of his kind. Cryptic references to mating flights add hope, but dark references about the deaths of suitors threatens not only his life, but the dreams of all dragon shifters. Click HERE for an more excerpts and a free read of the first chapter of Hatchlings Curse. Congrats on the new novel! A perfect time of year for a new romance novel. Happy to see the series continue. An intriguing bio, Helen--a coal miner's daughter! And a caregiver, with little time to write. Yet you do. Your new book sounds fascinating. What a fascinating interview. You certainly know how to maximize your time. Good luck with the new book! Thanks for having me at the writer's lens. And to everyone who stopped by.